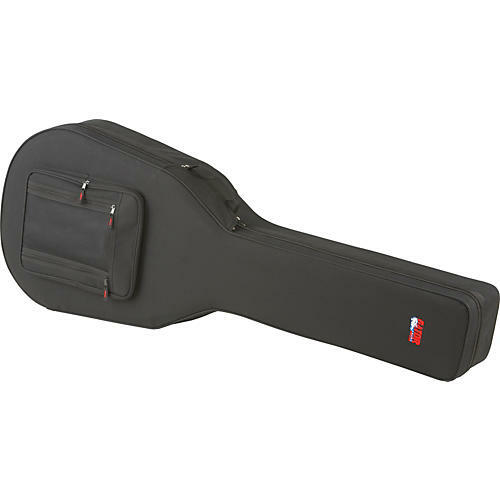 Internally constructed from dense EPS foam, the exterior of this Gator GL acoustic bass case is covered in rugged 600-denier ballistic material. To ensure your instrument does not get scratched, the interior is covered in soft plush. Blending hardshell bass case durability with the lightweight design of a gigbag, the case comes equipped with 2 external pockets for all your gear, comfortable removable shoulder strap, and #10 zippers. The carrying handle is made of parachute webbing.